Iowa is excited to host the MARC 2019 annual meeting in Des Moines! Join us for an outstanding four days featuring great speakers, fantastic networking opportunities, and some exciting “Blue-Ribbon" fun! The conference will be held at the Hilton Downtown Des Moines hotel. We will begin with a welcome reception on the evening of Sunday, August 11, at the Hilton. 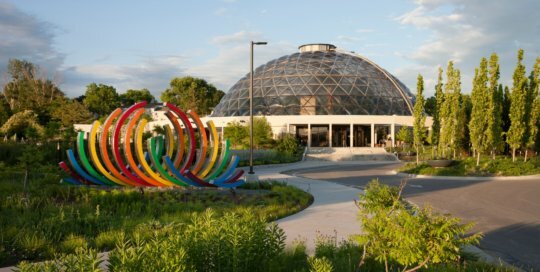 In addition to a full agenda for the conference, we’ll have great food and entertainment at the Des Moines Botanical Gardens, and a trip to the Iowa State Fair to explore more than 400 acres that include such features as the famed butter cow, a functioning wind turbine, live entertainment, and hundreds of traditional Iowa fair foods. Minor league baseball provides a great opportunity to see tomorrow’s major league stars in a family-friendly environment. MARC attendees and their guests may choose to spend Sunday afternoon at Principal Park enjoying a game between the Iowa Cubs (AAA affiliates of the Chicago Cubs) and the visiting Salt Lake Bees (Los Angeles Angels affiliate) with beautiful views of the Des Moines skyline and the Iowa State Capitol building from your seats. The game begins at 1:08 p.m. More information can be found here. The Welcome Reception, sure to be "Iowa-nice," will be held at the Downtown Des Moines Hilton. We will experience a taste of what Iowa has to offer. Guest will experience a day of fun at some of Des Moines’ most popular attractions. ride the train, ride a camel, and feed the giraffes and goats. 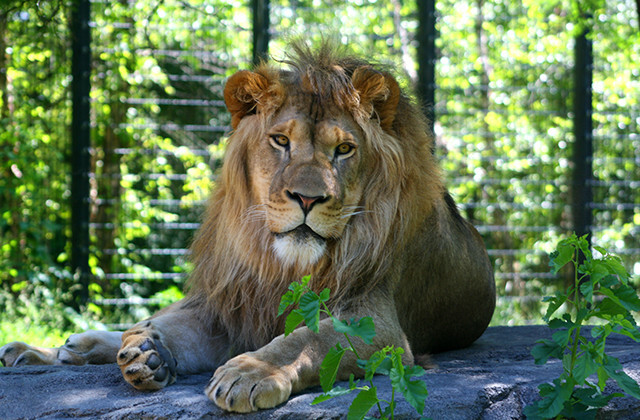 More information can be found at https://www.blankparkzoo.com/. The Iowa State Capitol, also known as the Iowa Statehouse, houses the Iowa Senate, Iowa House of Representatives, and the Office of the Governor. It also houses the Offices of the Attorney General, Auditor, Treasurer, and Secretary of State. The Iowa State Capitol is the only five-domed capitol in the country. Enjoy a guided tour of the beautiful and historic Statehouse and pick up a souvenir at the Capitol gift shop. More information can be found at the Iowa Capitol website. Experience the Science-Surrounds-Us-All Actuality at this 110,000-square-foot creative lifelong learning center in the heart of Downtown Des Moines. By placing the power of learning in the hands of the visitor with interactive experiences for all ages, the emphasis at the SCI is less on what to learn and more on how to learn. More information can be found at https://www.sciowa.org/. Enjoy an evening of great food and entertainment at the seven-acre public garden in the heart of downtown Des Moines. A tour of the capitol will be repeated for those who visited the Science Center on Monday afternoon. “Nothing Compares” to Iowa’s most popular summer attraction and we’ll provide transportation and admission to the fair for MARC attendees and family members. Enjoy three thrill parks, hands-on activities, strolling entertainers, and stage performers throughout the day and evening. Join us for a fairgrounds tour or participate in a scavenger hunt, then take a break under the covered Farm Bureau Picnic Shelter reserved for MARC guests with a short evening reception and awards for scavenger hunt participants! Visit the Iowa State Fair website for information about this summertime staple.